On behalf of the conference hosts, I would like to welcome you to the first “Unity through Relationship” conference here in Dublin. For those attending from overseas, I extend a – Céad Míle Fáilte go dti Baile Átha Cliath – which is Gaelic for 100,000 welcomes to Dublin. We hope you enjoy the conference and that you have a good experience and make new connections and relationships with other like-minded people. 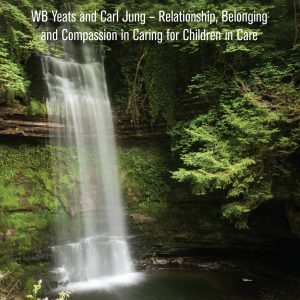 As a frontline worker in residential care, I was conscious that I undertook this work to meet my own need to care, a need I was surprised to discover I possessed after many years in other work settings. This vocational calling is present in most care workers I encountered over the years albeit the precise need may differ. This affords our profession a bedrock of motivated staff few other occupations posses. I came to recognise this commonality of motivation, despite sometimes difference of opinion with my colleagues, as the glue that held our teams together through often difficult times. This was our common ground. To maximize the potential of this motivation it is imperative to empower workers to work relationally. One of the core challenges of residential care is to put in place the right circumstances for children in care to succeed and similarly the challenge for those of us who no longer operate in frontline roles is to seek to set up the circumstances for workers to succeed. Workers need to be recognised for their commitment, dedication and skill and this requires that they have the time to spend with children and nurturing meaningful relationships which are employed to the child’s developmental benefit rather than managing the children and record keeping. We must reclaim our profession and reinstate the relationship at its beating heart.